By Tim Royner: Former WBA Super middleweight champion George Groves (28-4, 20 KOs) is backing training again for his next fight, which could be against the winner of next months’ fight between former IBF 168 lb champion James ‘Chunky’ DeGale (25-2-1, 15 KOs) and former IBO champion Chris Eubank Jr. (27-2, 21 KOss) on February 23. Groves, 30, has been out of action since losing to Callum Smith (25-0, 18 KOs) by a seventh round knockout last year on September 28 in the final of the World Boxing Super Series tournament in Jeddah, Saudi Arabia. Groves’ trainer Shane McGuigan says it’s possible that ‘Saint George’ might look to face the DeGale-Eubank Jr. winner. Groves has beaten both of those guys in the past. There’s good money for him to make in fighting the winner of that match. However, McGuigan isn’t sure whether Groves will persue that avenue or go after Callum to try and avenge his knockout loss to him. That was a situation where Groves was coming off of a shoulder injury in his previous fight with Eubank Jr. when he took the fight with Callum. 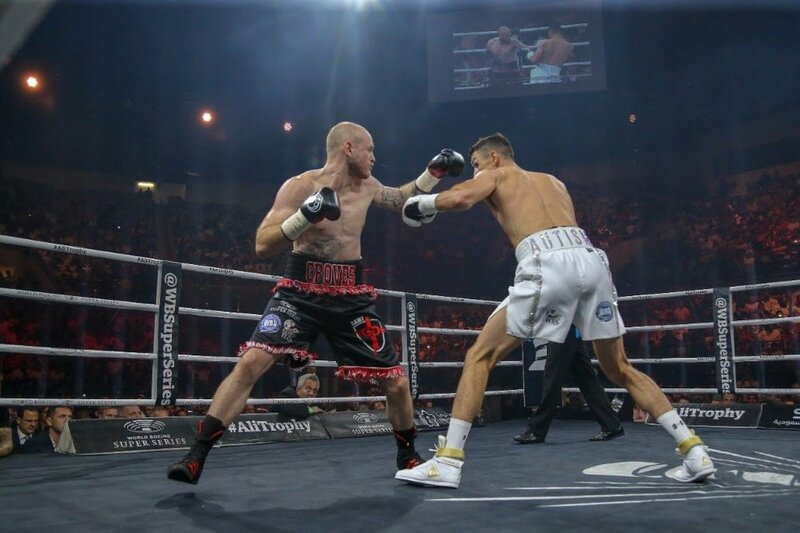 It was bad timing for Groves to take on a dangerous puncher like Smith after his left shoulder become dislocated in his fight before that seven months earlier against Eubank Jr. in the semifinal of the World Boxing Super Series [WBSS] on February 17, 2018. Some boxing fans believe that Groves will retire rather than continue to fight on. However, at the time of his loss to Smith last September, Groves was seen as the best fighter in the super middleweight division. It just goes to show you how quickly a fighter can go from being viewed as the top guy in a weight class to being seen as washed up after just one fight. The reality is, Groves is still a top guy, and possibly still capable of being the #1 fighter, as long as his left shoulder is 100 percent. Groves will need to fight smart if he wants to beat Smith in a rematch. It would be wise on Groves’ part to make sure he clinches Smith if he gets hurt by him in the rematch. When Groves was hurt by Smith in the seventh round, he backed up to the ropes and covered up, and that was the worst thing to do against a puncher. Callum ran up on Groves and unloaded on him with both barrels until the fight was stopped. If DeGale is victorious against Eubank Jr. next month, Groves won’t have any problems getting him to fight him. DeGale, 32, has wanted a rematch with Groves ever since losing to him by a 12 round majority decision in May 2011. That was a close fight that could have gone either way. DeGale got off to a late start in the first five rounds, and when he did come on from round six, it looked like the judges didn’t give him credit. It’s as if the judges already had their minds made up that Groves was going to win based on his strong start in the fight. The two were expected to face each other again when both of them were world champions, but it never happened. Now is a good time for Groves to face DeGale again before his career ends, which might be very soon if he loses to Eubank Jr. next month. Eubank Jr. also wants a rematch with Groves after losing a one-sided 12 round unanimous decision to him last year. Eubank Jr. has a new trainer now, and he’s working on improving the holes in his game that he exhibited in his loss to Groves last year. Click here to view the whole story on Boxing News 24.